As we rush in today's life we are not able to teach few things to our children. Personality Development quintessentially means enhancing and grooming one's outer and inner self to bring about a positive change to your life. This process develops boosting one's confidence, improving communication and language speaking abilities and many more. Learning fine etiquettes and manners adding style and grace to the way one looks. Here are our active learners of the Personality Development Class at Whiz Kids Activity Centre. An after school activity centre for your Kids. Whiz Kids Provides activities for kids like Western Dance, Zumba, Classical Dance, Carnatic Vocal, Phonics, Handwriting, Abacus, Kung fu, Chess, Yoga, Spoken English - Trinity college of London & English Grammar, Vedic Maths, Instruments - Trinity college of music London, Drawing and many more classes available.. 'Faculties of each activity are the pioneers in their fields., thereby youre children are obviosly trained by eminent faculties.' For more details contact us or visit our branch. 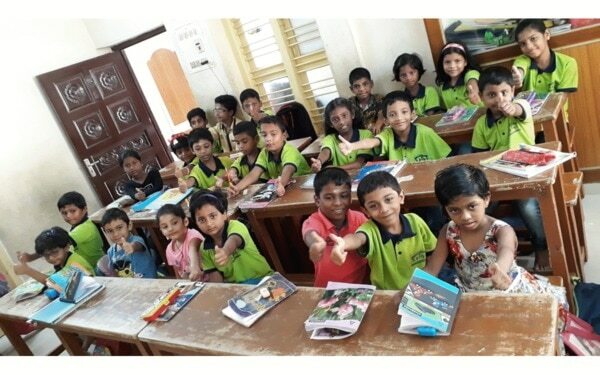 Phonics class at Whiz Kids Activity Centre, Vinayagapuram. Phonics is the science of learning various phonemes (sounds) in words and thus read and spell. Phonics helps children crack the English alphabetic code easily so they will be able to read even unknown words. Phonics help the students to read English fluently. Enroll for Phonics summer camp. Call us for further details.